Known for their prints, for it spring 2012 it taps into inspiration from the 20's. 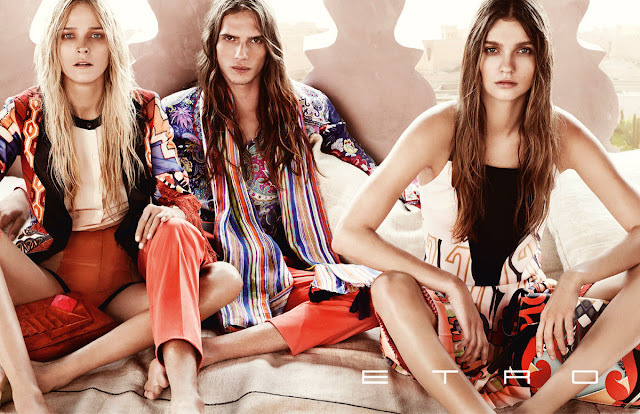 Etro showcase prints inspired from the jazz age to psychedelic, wild and paisley. Long-haired beauties Carmen Kass, Ella Kandyba, Andres Risso & Bruce Machado don the looks in a collective cool, laid-back manner, shot by Mario Testino.